Christmas is a festival which commemorates the birth of Jesus Christ, and is observed by billions of people around the world. It is a fervent wish that every path may lead to peace. Every year, we at SSBF, celebrate the festival in the best possible way and endeavour to spread positivity and joy around. 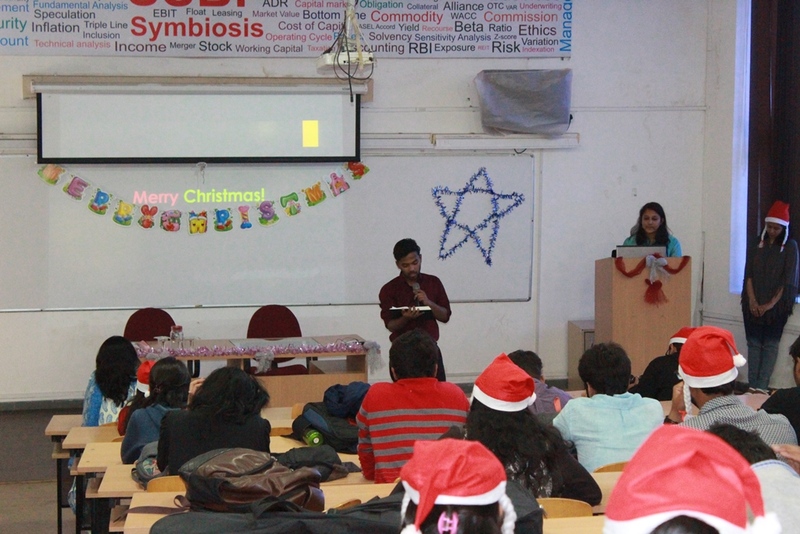 The event began with recitation of verses by the Bible, which was all about angels’ prophecy about a saviour being born, followed by our esteemed director, Dr. Manisha Ketkar’s blessings and best wishes to the students for the year ahead. To make the event more memorable, games like “Guess What” was introduced with active participation from the students as well as the faculty. 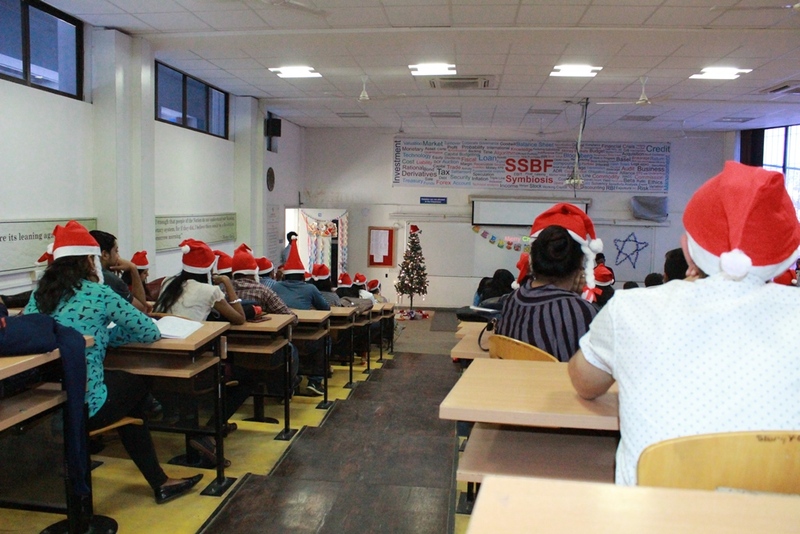 This was followed by the euphonious recitation of Christmas carols by the students, signifying the tradition of singing carols during Christmas for generations. 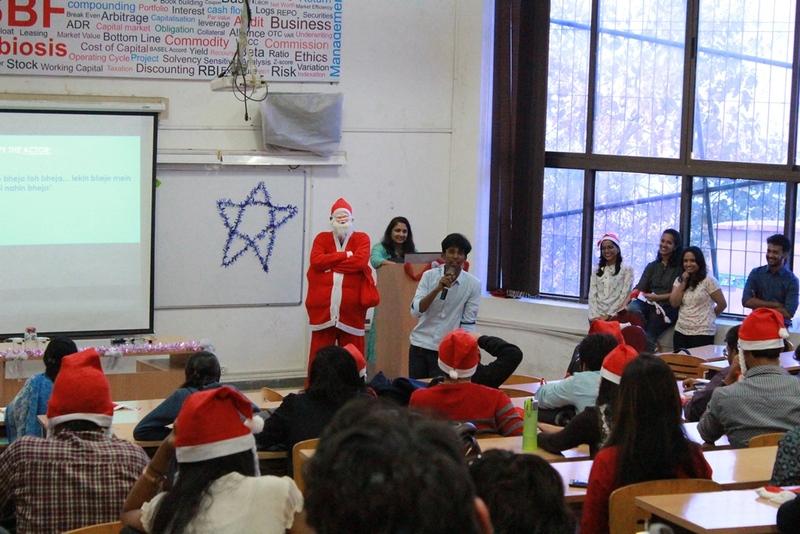 Since, Christmas is incomplete without Santa Claus, the entry of the podgy and jovial Santa was a cherry on cake. He introduced games like “Riddles” and “Puzzles” based on famous Bollywood dialogues, to entertain the audience. The event concluded with a vote of thanks by our esteemed director Dr. Manisha Ketkar. True to its motto, “The world is one family”, SSBF believes in commemorating all the major festivals of India with immense fervour and gusto. Eid, which is one of these festivals, is celebrated by the Muslim fraternity across the globe. It signifies the culmination of Ramadan, the month of fasting, and commences after the first new moon is observed. Since the holy scriptures in Islam were first revealed during this month, it has special significance attached to it. 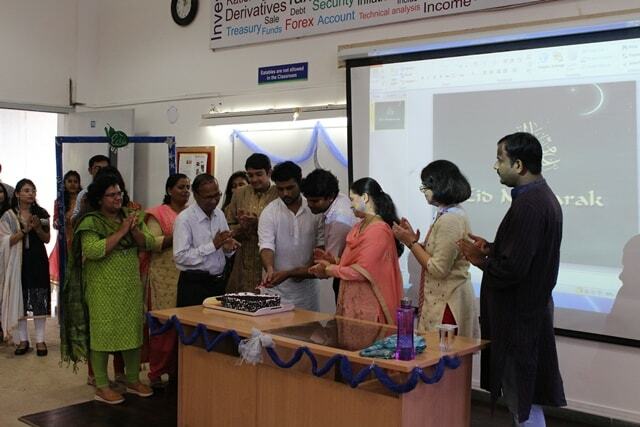 The festivities kick-started with the recitation of verses from the Holy Quran, followed by blessings and best wishes from our esteemed director, Dr Manisha Ketkar and a cake cutting ceremony. The hosts displayed their creative side by reciting catchy one-liners and “shayari”, which was well received by the audience. Also, the event witnessed some of the students grooving to the beats of some of the evergreen Bollywood songs; coupled with a few mesmerising group music performances, which captivated the hearts of the audience. A few students presented a short but hilarious skit which beautifully conveyed to the audience the universal message of embracing change willingly and giving others a chance to reform themselves. 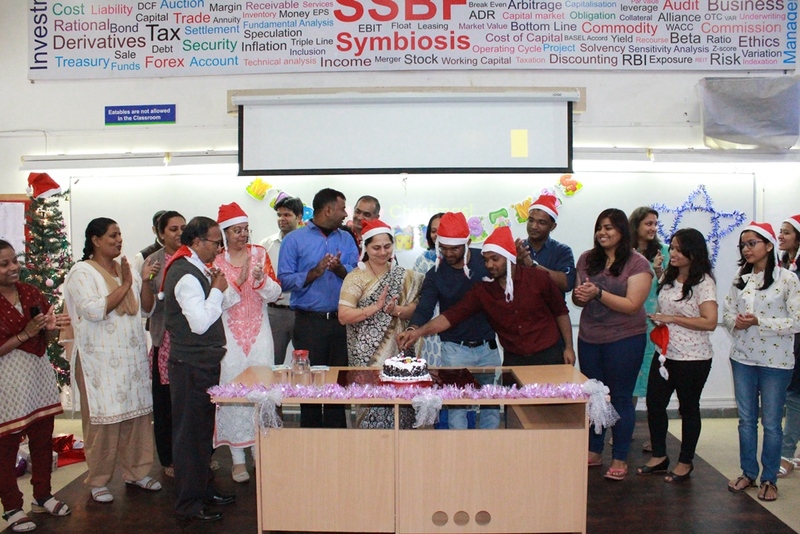 The event also presented an opportunity to the faculty members to recount some of the most memorable moments of their life at SSBF that have left an indelible impression on the minds of the faculty and students alike. The event reached its climax with the hosts urging the audience to spread love and positivity around this Eid, and thanking everyone who made the event a huge success; post which the students and the faculty were served with mouth-watering dishes that complemented the traditional aspects of the festivities.